Home » Blog » Market News » Phuket to get the Largest Ferris Wheel in the World? Phuket to get the Largest Ferris Wheel in the World? Some interesting and unique news recently surfaced that Phuket could be on their way to having the largest Ferris wheel in the world! Interesting, right? There are plans in the works to construct a state-of-the-art theme and amusement park in Phuket, with the largest Ferris wheel in the world being the centerpiece of the park. 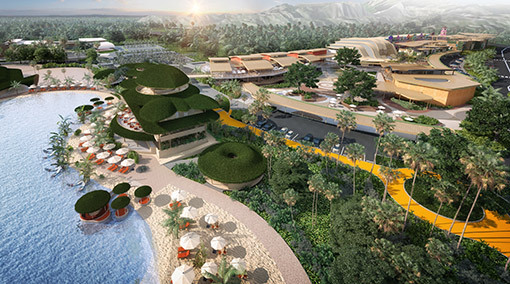 There has been a consortium of businessmen who have applied for permission to the Phuket Provincial Land Office to construct the hi-tech amusement park. The plan is to construct the park over a 30-40 rai area, showcasing some of the largest scale amusement rides in the world, but that’s not the best part! This mega project will take Phuket tourism to another level, while at the same time attracting more investors from Europe, and especially the United Kingdom. It all sounds amazing and is a real shot out of the blue. Let’s hope this goes through, because more tourism is just what the island’s businesses need.